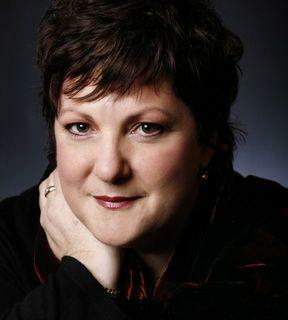 Liane Keegan has established a reputation as one of Australia’s finest dramatic mezzo sopranos. She is a highly sought after artist both in Europe and Australia and excels in all facets of vocal performance. Currently based in Berlin where she is engaged by the Deutsche Oper, where her roles for the 2010 – 2011 season include Genevieve Pelleas and Melisande, Anna The Trojans, Marcellina The Marriage of Figaro, Lene Armuth Germania, Madelon Andre Chenier, Mother Johanna Dialogue of the Carmelites, and Emilia Othello. During the 2009 – 2010 Deutsche Oper season her roles include Adelaide Arabella, Emilia Otello, Third Lady Die Zauberflöte, First Norn and Siegrune The Ring, Mary Die Fliegende Hollander, Filipyevna Eugene Onegin, Stimme von oben Die Frau Ohne Schatten and Marcellina Le nozze di Figaro. She also performed Filipyevna for Stuttgart Opera. In 2010 Liane tours Australasia to perform Mahler Symphony no. 2 with the West Australian Symphony Orchestra, Das Lied von der Erde with the Auckland Philharmonia and Mahler’s Das Klagende Lied with the Queensland Symphony Orchestra. Recent concert engagements include Mahler Symphony No 3 with The Queensland Orchestra, The Page in Salome in a concert performance with Hong Kong Philharmonic, recitals in Siena, Florence, London and The Winchester Festival, Vaughan Williams' Five Tudor Portraits with the Royal Liverpool Philharmonic Orchestra, Bach's Magnificat with Athens Kamerata, Gaea in Daphne for VARA Radio at the Concertgebouw in Amsterdam, Messiah with the Melbourne and Adelaide Symphony Orchestras, Mahler's Symphony no. 8 with Melbourne Symphony, Mahler’s Songs of a Wayfarer and Janacek’s Glagolitic Mass for Sydney Symphony and First Norn in a concert version of Götterdämmerung for Perth International Arts Festival. Her other operatic performances include the role of Fenena in Nabucco for Opera Queensland, Mama Lucia in Cavalleria Rusticana and Third Lady in The Magic Flute with Andrew Davis conducting for Deutsche Oper, Berlin, Madame De Croissy in Dialogue of the Carmelites at the Edinburgh Festival 2007, second Maid in Elektra at the 2006 Edinburgh Festival, Third Lady in Die Zäuberflöte, Klytämnestra in Elektra, Mistress Quickly in Falstaff along with a role in the new opera Helle Nächte, Mother in The Tales of Hoffmann, Begbick in Rise and Fall of the City of Mahagonny and Brigitte in Die Töte Stadt for Theater Hagen, Third Maid in the Sydney Festival’s Elektra; Erste Norn in Stuttgart Opera's Götterdämmerung in 2000/2001; Azucena in Il Trovatore for State Opera of South Australia; Ulrica in Un Ballo in Maschera for Opera Australia; Mistress Quickly in the Minnesota Sommerfest production of Falstaff; Offred’s Mother in The Handmaid’s Tale and First Norn in Twilight of the Gods for English National Opera and the roles of Erda, First Norn and Waltraute in Die Walküre in State Opera of South Australia’s Der Ring Des Niebelungen, recorded under the Melba Recordings label. Additional concert highlights include Mozart Requiem with Sir Neville Marriner and the Czech Philharmonic Orchestra; Barbara in the British premiere of Korngold's Violanta conducted by Paul Daniel at the 1997 BBC Proms; Waltraute in the concert version of the third act of Die Walküre at the Edinburgh International Festival conducted by Antonio Pappano; First Norn in Sydney Symphony's Götterdämmerung for the Olympic Arts Festival and Guo Wenjing’s Inscriptions on Bone for the 1999 Edinburgh Festival with the Nieuw Ensemble of Amsterdam conducted by Ed Spanjaard with further performances in Amsterdam and the Vienna Konzerthaus with the Klangforum Wien conducted by Hans Zender. Liane Keegan has given a number of recitals throughout the UK, Austria, France and Australia, including a Crush Bar Recital at The Royal Opera House, lieder recitals at the prestigious Festspiele Mecklenburg, the Schleswig-Holstein Musik Festival and at the Sydney Festival. She also appeared in a film based on the life and works of Schubert for ZDF television, Germany, featuring masterclasses with Brigitte Fassbaender, with whom she also appeared in a series of masterclasses in the Wigmore Hall in 1996. Liane Keegan was a recipient of the Shell Royal Opera House Covent Garden Scholarship and The American Institute of Musical Studies Scholarship, Opera Foundation Australia. In 1997 she won a Bayreuth Bursary from the Wagner Society of Great Britain.